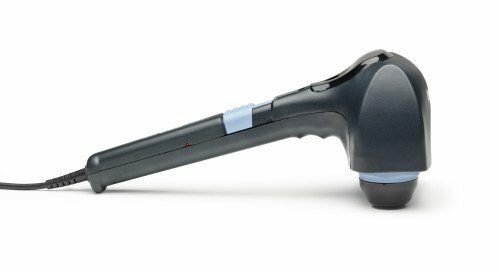 The Mini Pro is designed for use in professional health care offices as an all-around robust and durable massager. It delivers a full strength percussive massage that penetrates deep through all fascial layers. It’s ideal for warming up muscles, increasing blood flow to the area being treated and releasing muscle tension. Its long handle allows users to treat themselves at home. The Mini Pro is ideal for reaching areas like shoulders and mid-back. This product is excellent for self-use. Weighing only 3 pounds (1.4 kg), it’s easy to take with you when you travel. With three electronically controlled speed settings at 20, 30 and 40 pulses per second, the Mini Pro can be adjusted to treat all muscle groups and patient preferences. The proven Thumper® drive system propels two anatomically-designed massage spheres up and down a full 1/4″ (6 mm) to deliver the deep penetration of tapotement. The Mini Pro directs 95% of the energy into the muscle tissue, resulting in virtually no kick back to the handle and its user. It’s easy to hold, maneuver and operate. No need for oils or lotions. 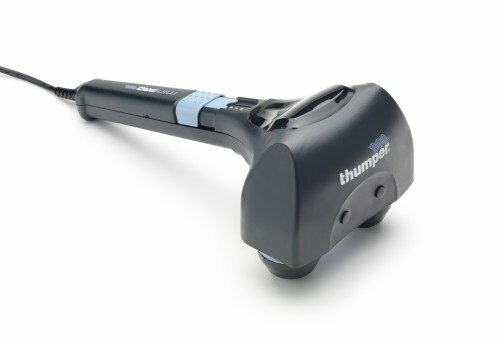 Thumper works through clothing, providing flexibility for use in all clinical, professional and home environments. 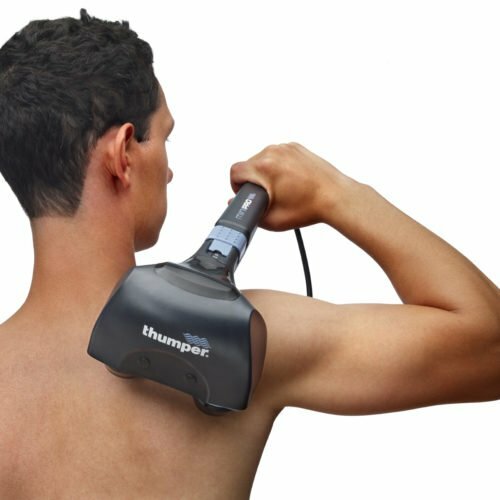 A deep tissue massage, with no work: Thumper Mini Pro does the work, not you. 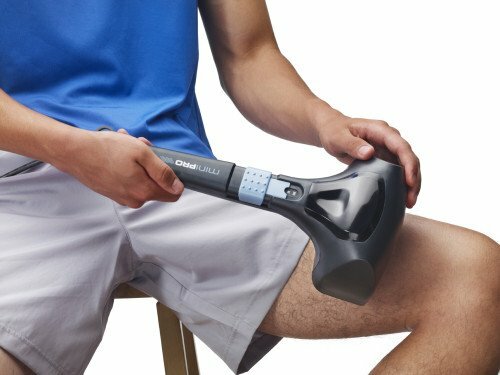 Just “park” Mini Pro on your shoulders, legs or back. No need to add pressure or dig in. Rest the Mini Pro on your shoulders to release tightness caused by daily stress. For blissful relief of tired, aching feet, simply place Mini Pro on a couch and relax your feet against it. Patented Thumper Action sends energy perpendicular into tissue, penetrates through all fascial layers relieving muscular tension and fatigue. Anatomically designed massage spheres require no additional attachments. One device for the entire treatment of all muscle groups. Ergonomic handle makes it easy to reach all muscle groups, shoulders, back, legs. Three speed settings at 20, 30 and 40 pulses per second for best results for all muscle groups. Easy to clean, just wipe with damp cloth. Heavy duty DC motor and current feedback circuit provides long service life and minimizes low speed stall. Design allows for one or two handed use. Hand manufactured in Canada, ensuring the highest quality product.